‘I just couldn’t get out of my mind. My body was tense, all day, every day, I had an ongoing feeling of nausea and I couldn’t eat for most of the day; I could not pull myself out of it, to focus on myself, my baby, or anything else. I was paralyzed’. ‘I was so overcome with worries all the time. I couldn’t leave the house. What if my baby started crying in public? What if people think I am a bad mother? Postpartum Anxiety: What is it? Anxiety is a normal emotion for which humans are hardwired to experience. We needed and still need the ‘fight or flight’ response to know how to deal with fearful and life-threatening situations. With anxiety disorders, however, this normal response is the system over-reacting, becoming over-stimulated and developing into an illness which inhibits you from functioning normally in your personal and/or professional life. Women are especially vulnerable to anxiety during the postpartum period, when there is a major shift in one’s sense of self - their identity as an individual, a partner and as a professional. Additionally, there is a now a tiny human being who is fully dependent on her for all his or her needs! Postpartum anxiety is not as widely discussed in popular culture or medical sources as is postpartum depression. A Google search of postpartum anxiety yields an ad for postpartum depression as the first hit and a quick Amazon book search of postpartum anxiety yields 4 books specifically geared to postpartum anxiety versus the numerous books that cover either postpartum depression alone, or both postpartum depression and anxiety together. There is even a Postpartum Depression for Dummies book, but not one for postpartum anxiety. The less commonly discussed postpartum anxiety disorders are often missed as women who have only heard of postpartum depression and don’t identify as being depressed, don’t realize they may be experiencing postpartum anxiety. What are the signs and symptoms of postpartum anxiety? Common behaviors that accompany these thoughts and feelings are incessantly asking for reassurance, obsessively researching the internet or calling the pediatrician out of fear that there is something is wrong with the baby. Isolation from friends and family can occur when there is resistance to going outside with the baby. Other signs and symptoms of postpartum anxiety may include, irritability, panic attacks, loss of appetite, difficulty sleeping, muscle tension (sore neck, back, jaw, clenching/grinding teeth), trouble concentrating and focusing, memory lapses, frequent episodes of crying for no reason, or thoughts of harming yourself or the baby. Who is at risk of developing postpartum anxiety? Top risk factors for postpartum anxiety include a personal prior history of anxiety, a family history of anxiety both in the perinatal and non-perinatal periods, or medical issues such as a thyroid condition. History of trauma, such as physical or sexual abuse, a difficult/traumatic delivery, are significant risk factors as well. Is there effective treatment for postpartum anxiety? Yes! Postpartum anxiety disorders (like postpartum depression) are highly treatable. Treatment for postpartum anxiety starts with recognizing your symptoms. Often, a family member or close friend may recognize these before you do. A full psychiatric evaluation by a mental health professional, which can rule out other medical causes of anxiety (such as thyroid imbalance), is recommended. From the evaluation, recommendations for therapy and/ or medication may be indicated. Maximizing your sleep, ensuring adequate nutrition and exercise (in moderation and according to what your Ob/Gyn recommends), and engaging in mindfulness/meditation/yoga are other interventions that can help to decrease anxiety. You can work closely with your perinatal therapist on defining which of these measures is right for you. Meredith Weiss, MD, is a Psychiatrist at The Motherhood Center, and a clinical Assistant Professor of Psychiatry at the New York Presbyterian Hospital-Weill Cornell Medical Center in Manhattan. Dr. Weiss graduated from the Albert Einstein School of Medicine of Yeshiva University and completed adult psychiatry residency at Montefiore Medical Center. Dr. Weiss completed a fellowship in child and adolescent psychiatry at New York Presbyterian Hospital. She then completed the Sackler Infant Psychiatry Fellowship at Weill Cornell Medicine where she developed expertise in parent-infant relationships and early childhood development. She has published articles and book chapters, presented at national medical conferences and received training and teaching awards. Dr. Weiss is board certified in both adult psychiatry and child & adolescent psychiatry. We all have dreams of having the perfect birth experience. Some of us write birth plans, others hire doulas, others send lots of easy birthing juju into the universe and hope for the best, but did you realize there is one major thing you can do to change your birth outcome? It's education. Knowledge is power and FPC stands behind this 100%. Imagine if our founders hadn't spent countless hours forming relationships with PT's and women's health specialists, and getting the best education and certifications to create the most comprehensive pre/postnatal workout there is? There wouldn't be an FPC. We are confident we have you covered when it comes to having a strong pregnancy and complete postpartum recovery but we know there is more to your birth story than just empowering you physically. You also need to empower your mind. That's why we sought out the most comprehensive childbirth education class and best educator in all of NYC and asked her bring her course to FPC! We are honored to present the first of many of her Childbirth Education courses at FPC starting Aug 3, 4, and 5th. If you've been debating whether or not you need a course, this is your answer. And in true FPC form, we want to give you everything in one easy swoop. The 3-day weekend also includes breastfeeding and newborn care to set you up for complete success for those first few weeks postpartum. Spots are limited. Sign up ASAP! And if you still don't believe us, read some of these testimonials! Tagged: birth education class in NYC, childbirth class nyc, breastfeeding class NYC, Breastfeeding class Brooklyn, breastfeeding tips, newborn care class nyc, newborn care class brooklyn, newborn care, childbirth education class in Aug 2018, pregnancy fitness, how to prepare for childbirth, do i need a childbirth class? I recently posted a video clip of my subzero freezer that is completely full of breastmilk on my instagram stories (It's Carolina by the way). Immediately I had ten messages from women who wanted to know how I was able to store away so much and still continue to feed baby Rags. Here is a post for you ladies who are curious to know what I do, personally, to keep my supply high. Just bear in mind that I am not an expert and to consult with a lactation counselor before making any changes. 1) Hydrate. Hydrate. Hydrate. I cannot stress this enough. A dehydrated body WILL produce less milk than a well hydrated one. Aim to drink at least 8 ounces during every feeding or pumping session (I probably average about double that to be honest). Get a nice reusable water bottle and keep drinking! 2) I know it is tempting to go on a diet to lose that "baby weight" that's lingering BUT just know that your body is wise and is holding on to an extra 5-10 pounds pretty much as long as you continue to breastfeed. This doesn't mean you haven't lost the extra weight you put on during your pregnancy; you have extra breast tissue, milk, and fat stores that are essential to your body producing an adequate amount of milk. Simply continue to feed your body nutritious whole foods. Every meal should contain protein, fat, fiber and complex carbs. If anyone is interested in recipes or snacks ideas we can put that in a separate post! 3) Let your baby nurse as much as possible. With my first baby I was told by our pediatrician to almost immediately put her on a 3-4 hour feeding schedule, which I did. We were both miserable; she was hungry and I wasn't able to build up a milk supply that was enough for her and breastfeeding became really challenging. I quit after three months with her and decided to do not take advice from our pediatrician when it came to breastfeeding. With my third baby I try to keep him with me as much as I can and I let him snack whenever he wants to. We often do at least one daily marathon feed where we spend a couple of hours in bed together (my preferred feeding method is side-lying) and he eats, falls asleep, wakes up to eat again, goes back to sleep, and eats again. 4) Pump after almost every feed the first few weeks. This will signal your body to keep producing more milk even after your baby is satisfied. It is a total pain but the rewards are huge. I would pump immediately after every feed for about 10-15 minutes. Once you have established a strong supply, you can go down to pumping only after the last night feed and after the first morning feed (I currently pump before I go to bed at 10pm and around 6:30/7am and keep the pumping sessions to 20 minutes). Get a handsfree pumping bra so you can tend to your baby, eat or do work at the same time. Disclaimer: Experts will tell you this will lead to an oversupply so don't do this unless you want to continue to pump and store milk. 5) The jury is out on this one but I am convinced these lactation bars increase my supply. I still am waiting for them to sponsor me! I eat one every morning during my morning pump session as I drink at least 20 ounces of water. Breastfeeding is a commitment and it is a full-time job the first couple of months. Keep in mind that before you know it your child will graduate Pre-K and you will have no idea where the time went. Please ask for support when you need it and know that we are always here for you! New Workshop at FPC! Introducing Childbirth Basics for the Non-Pregnant! From "do your kegels" to "get the epidural," everyone from the cashier at the grocery store to your boss will freely share their advice when you’re pregnant. It’s like pregnant women are wearing a sign that says, “Unsolicited advice welcome!” While most people have the best intentions, it can be reckless when the advice simply isn’t fact- or evidence-based. There is a very real lack of basic knowledge around the birth process. With maternity care in the United States failing women, particularly women of color, I know that we need to do more—and do better. Why wait until we are pregnant or someone we know is pregnant to learn about how we are born? Birth is an amazing bodily process that we all should understand simply as humans. It’s truly fascinating (and useful!) to learn about. Women in pregnancy and birth are their most powerful selves, yet pregnancy and childbirth is likely the most vulnerable a woman will ever feel. With all the advice and judgment out there, it’s hard for pregnant women to feel confident in their decisions and prepare themselves for the birth process, particularly for their first birth. Women deserve to have access to real, evidence-based information as early and as often as possible. That’s why I believe that everyone who works or spends time with a pregnant woman has the opportunity to provide life-changing support and resources. Knowledge really is power. By educating yourself and sharing your knowledge with pregnant women, you can truly make a difference for mothers, their babies, and their families. It’s also an attractive way to show what you stand for and make yourself stand out in your business. I hope that making childbirth information accessible and applicable for all, we can begin to shift to a culture of better support for pregnant women in our country. I’ll be teaching these professionals everything they need to know about the history of childbirth in the United States, and what women are up against navigating the medical system. They’ll learn all about the amazing process of birth, including the hormones and physiology at play in labor and delivery. 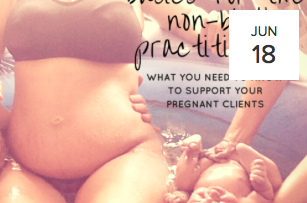 I’ll also share incredible resources around best practices and providers so that practitioners can support and empower their pregnant clients. Why is this so important? With the knowledge of physiological childbirth, the right birth team, and prenatal conditioning, women can dramatically increase their chance for a positive birth and postpartum experience. And that’s where you come in. This upcoming workshop will be for yoga and fitness instructors, massage therapists, mental health professionals, acupuncturists, stylists, physical therapists, chiropractors—essentially everyone who works with pregnant women. These practitioners have the ability to positively impact a woman’s pregnancy and birth by providing her with evidence-based knowledge, resources, and support. Do you have anyone in your tribe who you would like to have this information? This class is a totally new concept, and I’d love your help getting the word out. If you or anyone you know works with pregnant women, I’d really appreciate you sending them this post. You can also help spread the word by sharing this post on social media. 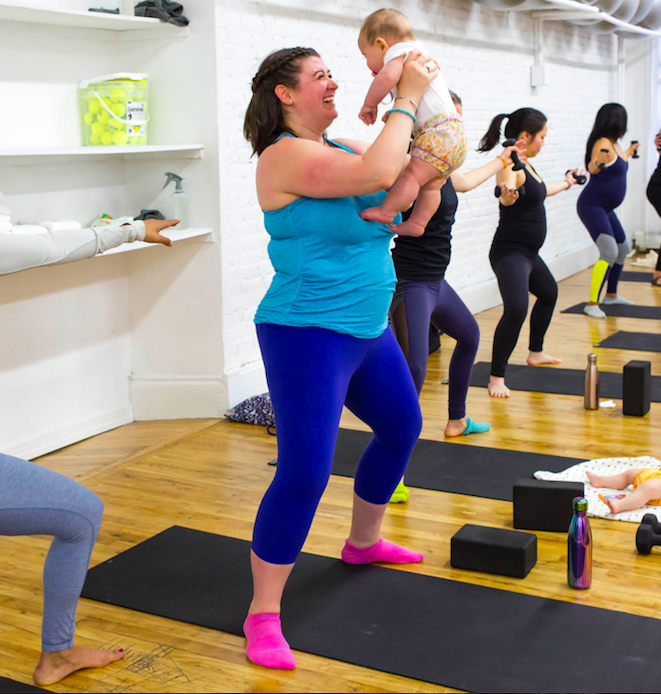 ON APRIL 7TH, COME WORKOUT WITH THRIVING MOMPRENEURS ATTACKING BODIES AND MINDS @ FPC NYC! Never doubt the power of a successful woman and mom! Join us for a 30 minute workout followed by an honest conversation about founding, owning and operating a business while being a mom! We are excited to party with Dayna Kurtz, LMSW, CPT and celebrate the launch of her new book, Mother Matters. We are all about self care at FPC and Dayna has written a book based on her experience as a therapist and mother. 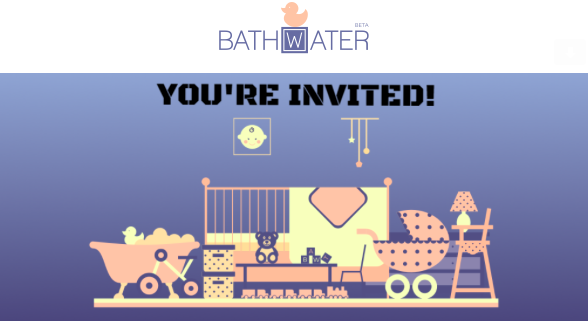 If preserving your sanity post-birth is a priority for you, you DON'T want to miss this event. Dayna is an unlimited source of knowledge! Spots are limited so sign up asap! Childcare. Eldercare. What About Mothercare? The first year of childhood is filled with emotional and physical changes, setbacks, and successes, and not just for babies. Mothers face a whole new world of experiences as a parent. While there are hundreds of books about childcare, where are the resources on mothercare? 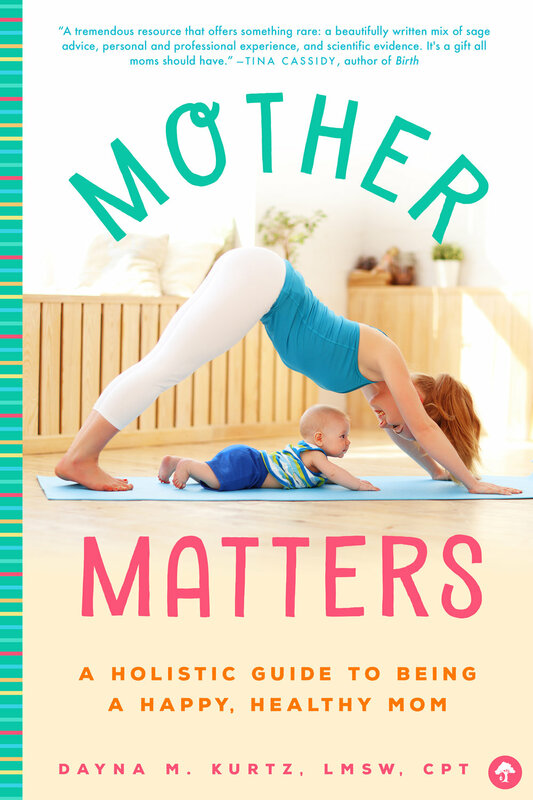 In her new book Mother Matters: A Holistic Guide to Being a Happy, Healthy Mom Dayna M. Kurtz, LMSW, CPT guides new and veteran mothers alike through the best practices to care for themselves while mothering their little one(s). Her goal is to help every mother do more than just survive the late nights and baby blues; she wants mothers to thrive! • Eat optimally for greater energy and faster healing after birth. • Feel creative, competent, and relaxed. • Avoid killing your partner, and even strengthen your co-parent relationship. • Get the support you need! Filled with real-life stories from mothers along with compassionate and practical advice from the author and other experts, Mother Matters will change the way we think of motherhood. Nonetheless, a close look at how motherhood works behind closed doors, confirms that more that 62% of mothers that pump frequently, suffer from such issues. Issues that can be embarrassing, shameful and that mothers only feel comfortable sharing with lactation consultants, close friends and immediate family. And some of these issues, in addition to impacting mothers on an emotional level, may lead to physical strain as well. When pumping doesn’t happen effectively and milk is not adequately removed, ducts clog. This in turn, leads to swelling and inflammation, which means yet more complications - it can be a vicious cycle. But pumping, like breastfeeding, doesn’t have to be painful and uncomfortable. Lilu wants to make painful pumping a problem of the past. The Lilu bra automatically massages breasts, allowing women to pump up to 50% more milk, hands-free and in less time. The breast compression ensures nutrient-rich milk is moved outward and that all ducks are emptied, greatly reducing risk of clogged ducts and removing the need for excessive pumping. Lilu is currently available for pre-sale here and will be available for customers at the end of September 2018. Already pumping? We would love your feedback! Please fill out this form and we’ll get back to you! 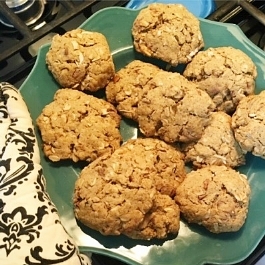 Lactation cookies are at the top of every new mom's snack list. Whether your are breastfeeding or not, they are they are great to store for a few days in the fridge and grab when you are starving and feeding a hungry babe in the middle of the night. Here's a simple recipe to make your own! We also like to mix and match the ingredients depending on what we have on hand. Feel free to experiment. They are hard to mess up. Preheat oven to 350 degrees. In a medium bowl, mix all the dry ingredients. In a large bowl, mix all the wet ingredients. Combine the dry into the wet ingredients and mix well. Scoop out heaping spoonfuls onto a cookie sheet and bake in the oven for 10-minutes, or until golden brown.